Although much of our attention is focused on next-gen, there are still several lingering questions for current generation gamers — one of which is whether much-ballyhooed streaming service HBO GO will hit the PlayStation 3. It appears there are finally signs that question could soon be resolved for PS3 owners. 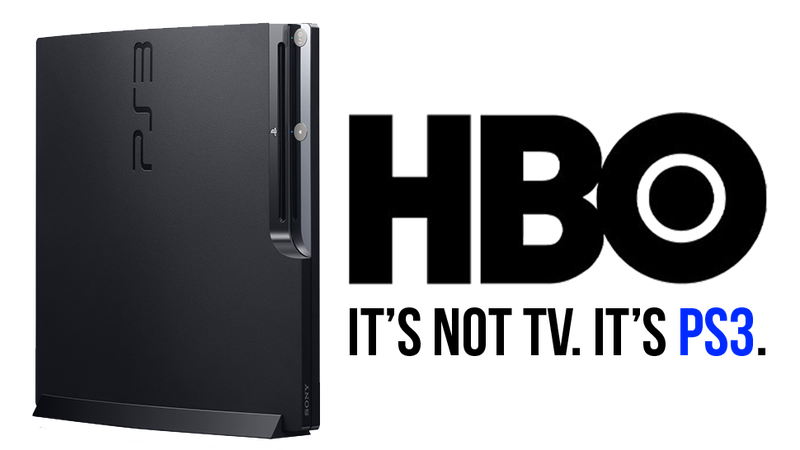 On their CVs, several current HBO employees mention working on the PS3 in some capacity, and two former HBO staffers — who ended their work in March and July, respectively — explicitly talk about aiding in the preparation of a launch of a PS3 version of HBO GO. The PlayStation app is the only one of the devices listed that is yet to launch, which could perhaps suggest a launch may not be far away. I would also note that the recently announced Xbox One app — slated to appear at some point after that console's launch — is nowhere on the list. Also, while visiting the HBO/Cinemax booth at a cable industry trade show this past June, a TV-focused tech blogger tweeted that the next two platforms for HBO GO would be Apple TV and PS3. This tweet came a week prior to the public announcement of HBO GO hitting the Apple TV. Much to the chagrin of many gamers spending $400+ in the coming months, there is no indication quite yet that HBO GO will arrive on Sony's just-launched PS4, but the audience of the PS3 will greatly outnumber next-gen platforms for quite some time, so it is unsurprising that a current generation app seems to be a bigger priority. Crytek might be going Hollywood. In early September, the Ryse developer registered a bevy of showbiz-related domains including: calayanimation.com, calaycomics.com, calaydigital.com, calayentertainment.com, calaygreenlight.com, calaymedia.com, calaypictures.com, calayproductions.com, calayvfx.com and calay.tv. The firm also registered defasholding.com and centralventures.net in late August. Additionally, a company by the name of Calay Entertainment was incorporated in August. And a Los Angeles-based VFX person says on their CV that they have been working for Calay Entertainment/Crytek since September doing the task of "Building and lighting environments for final quality CGI rendered in real-time." The Calay company is presumably related to Crytek's CineBox initiative, an attempt to tailor CryEngine for linear content creation. In summer 2012, Variety reported that Crytek had been reaching out to Hollywood to secure licensees, and the trade said, "Digital Domain and Fox already [had] alpha versions of the product and [were] evaluating it for unannounced projects." With the ever increasingly complexity of game engines, they are becoming viable solutions for visual effects and animation pipelines: for instance, Lucasfilm is using technology created for the cancelled Star Wars 1313 to converge production and post-production processes and increase efficiency. It is unsurprising that Crytek might want to take advantage of the opportunity to leverage their products in such a way. Might a new X-Men game be on the way? At the end of October, Marvel Entertainment registered uncannyxmengame.com and uncannygame.com. As many may remember, the last X-Men game was Silicon Knights' disastrous X-Men Destiny, and some might argue the X-Men have not yet had their Arkham Asylum moment. It may also be misguided to think of future X-Men titles in AAA terms: Activision, current X-Men license holder for console games, doesn't necessarily seem keen on further X-Men titles after Destiny and Wolverine titles failed to light up the charts and the next X-Men title is a Gree mobile card game. This Sounds Like The Coolest X-Men Game Ever... Oh, Wait. Two weeks ago, Insomniac Games filed several mysterious trademark new registrations for Stormlands, Cloudbreak and Cloudless. Domains corresponding with the three trademarks were also recently registered anonymously through Insomniac's usual registrar, suggesting they are games in their own right and not just tangential catchphrases. The three trademarks follow another mysterious trademark application from late July for "Bad Dinos." Despite the lukewarm response to Fuse and Outernauts, the company seems to still be invested in conceiving new IP. Finally, it seems Sony's Bend studio, most recently developers of a string of well received PSP and Vita titles, might be making the jump into full-fledged console development. On his CV, an artist at the studio says he is working on an "Unannounced Action/Adventure" for "PS4 ONLY."